Buying used recycling equipment might be the most cost effective solution for small recycling centers or start-up facilities. Before you start looking for used recycling equipment, make a check list or spreadsheet of what types of equipment you need. 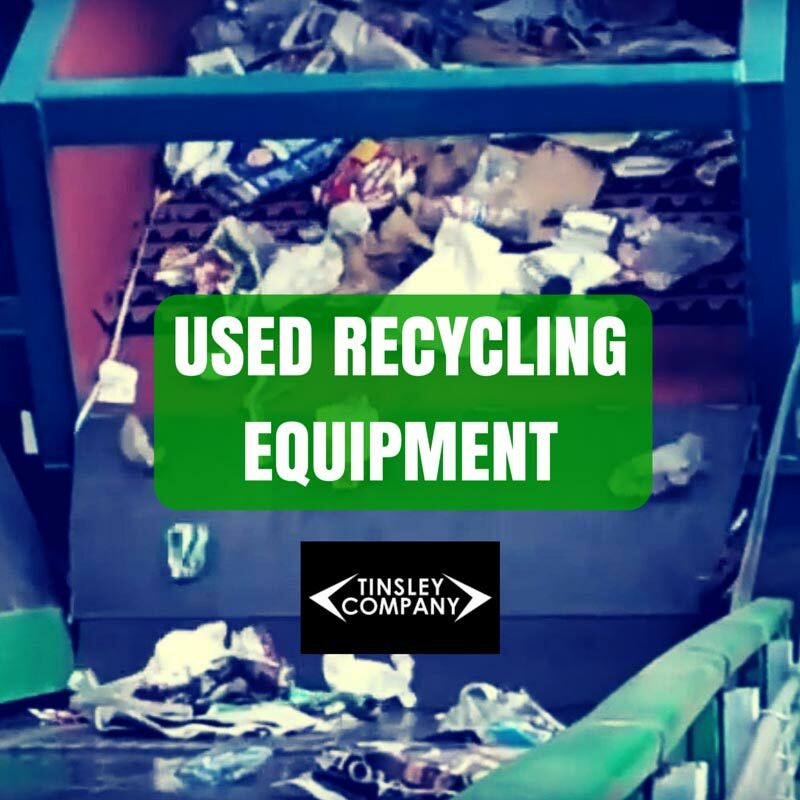 Contact Tinsley Company and we will search our used recycling equipment inventories and tell you what is available for sale. Then, we will arrange a site visit for you to inspect the equipment. How old is the recycling equipment? Has it had any issues in the past and when were repairs made? Is there a warranty and is it still valid? What types of repairs do you anticipate making to the used recycling equipment and how much will they cost? How much fuel or electricity does this equipment require? Are there records available that state the past energy requirements? What is the average cost for operating the equipment?